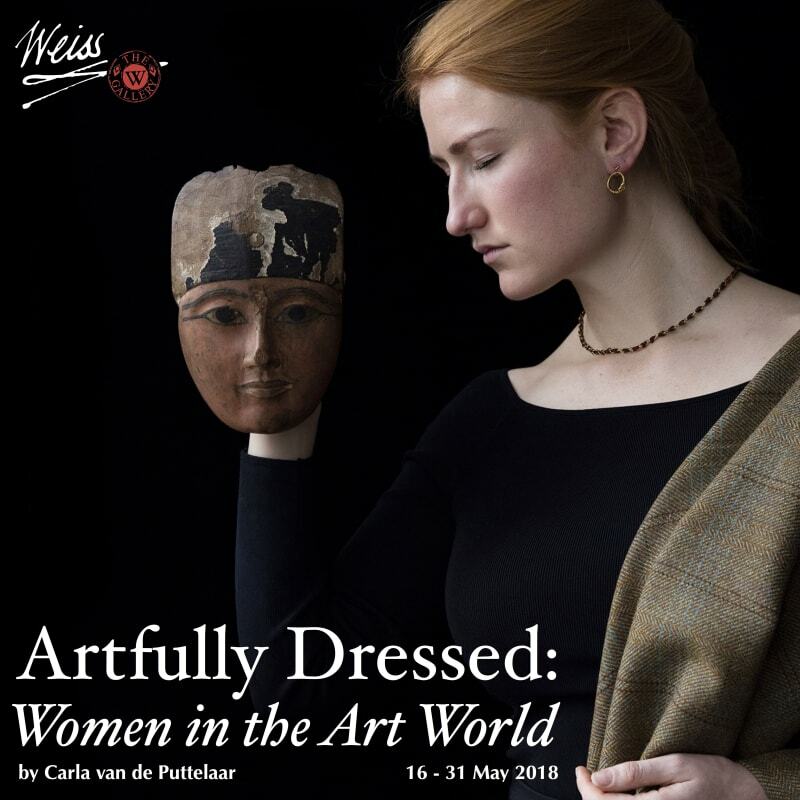 From 16 - 31 May 2018, The Weiss Gallery will hold one of its most unique exhibitions to date: 'Artfully Dressed: Women in the Art World', portraits by Carla van de Puttelaar. Sixty photographs of some of the most influential women in the art world today will be shown. Carla van de Puttelaar's striking photographs, inspired by historical portraits, offer an insight into the women running the international art world, from artists and gallery directors, to curators, designers and art historians. Van de Puttelaar describes the works as 'idealistic', but although the portraits are an attempt at aesthetic perfection through the lens of traditional iconography, yet they subvert that very trope. The theme in itself is a challenging feminist statement at a time when gender equality in the workplace and the art world is in the news. Carla questions what constitutes female beauty, power and by extension, vulnerability. Van de Puttelaar's photographic work has gained global recognition, and she has exhibited in numerous museums and galleries around the world. Her work has also been featured in significant publications such as The New York Times Magazine and The New Yorker. Carla has always had a keen interest in portraiture and photographs her sitters in natural light, with very dark, Caravaggesque backgrounds. There is an intensity to her portraits, and she describes her work as recording a specific, momentary expression, be it emotional or powerful, but always individual. As well as being a respected photographer, Carla van de Puttelaar is an Art Historian who gained her PhD from Utrecht University specialising in 17th Century Scottish portraiture. She studied at Gerrit Rietveld Academy to become a Master of Fine Arts (MFA) in Photography. Carla lives and works as an artist in Amsterdam, and has lectured at various institutions including the Royal Academy of Art in The Hague. Her wealth of knowledge and experience has allowed her to build a strong network of friends and colleagues in the art world, forming the inspiration for her prestigious list of sitters for The Weiss Gallery's exhibition.